Can you believe it? 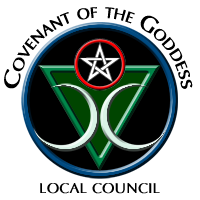 This will be our 9th Psychic Fair! 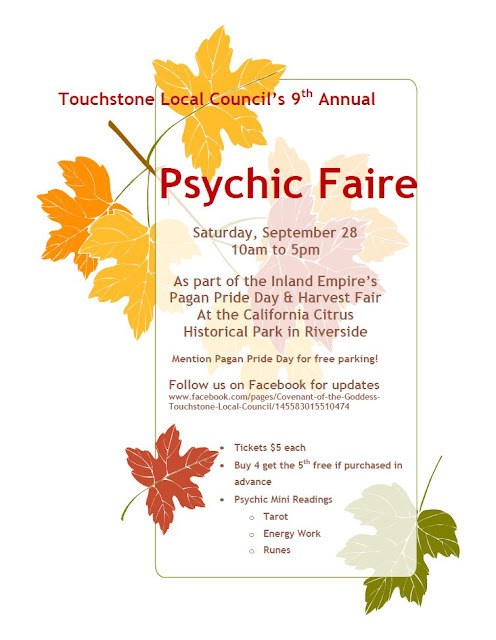 This year we have a change in locale... we are proud to announce that our Psychic Fair will be a part of the Inland Empire's Pagan Pride Day & Harvest Fair! So please come join us at the California Citrus Historical Park in Riverside... and make sure you visit their website and print their flyer! That way you can park for free! Admission for the day is free with the donation of one canned food item ~ all food donations will go to the Yucaipa Valley Inter-Faith Food Bank. If you'd like to purchase your tickets in advance (which is the only way to get free tickets) please call Zenah at the Enchanted Crystal (909) 867-1190. So come join us for a fun filled day and enjoy the vendor booths, the arts & crafts, the live entertainment... and US!